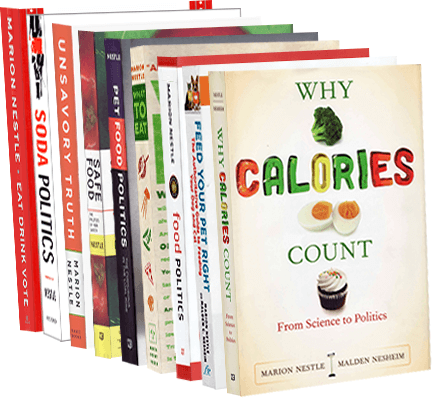 Food Politics by Marion Nestle » How much sugar(s) do you eat? How much sugar(s) do you eat? Earlier this week I received a 3-page, single-spaced letter—plus 4 pages of charts and figures–from Andrew Briscoe III, the President and CEO of the Sugar Association. I opened it with some trepidation because the last letter I got from the Sugar Association threatened to sue me (to read it, click here and scroll down to the Controversies section). the misinformation reported on added sugars consumption and the overstatement of added sugars contribution to increased caloric intakes. Americans do not consume 25 percent of their calories from added sugars. We write to provide you with accurate data…. I don’t think I ever said that the average American consumes 25% of calories from sugars (although some surely do) but I have complained that the Institute of Medicine’s “safe” level of intake of sugars is 25% of calories. This is higher than public health recommendations to restrict sugars to 10% of calories or less. It is meant as an upper limit, but is often interpreted as a license to eat this much. One quarter of daily calories from sugars is too high for something that provides no additional nutritional value. The Sugar Association is committed to ensuring that all advice consumers receive regarding sugar intake is based on the best available scientific evidence and related data. The American consumer will be better served by dietary advice that is science-based, practical and accurate, no matter the issue. Can’t argue with that. But as with all matters concerning nutrition, the issue is which science you choose to cite and how you interpret it. Mr. Briscoe uses the term sugars, plural, because sucrose, HFCS, syrups, honey, and other such things are all sugars. How much do Americans actually consume? Mr. Briscoe was kind enough to provide USDA tables that address this question. These describe the availability of sugars in the food supply, not necessarily what people are actually eating. Sugars comprise 17% of total calorie availability. Adjusted for waste, the availability of sugars is about 27.5 teaspoons per day per capita (meaning everyone: men, women, and tiny babies). Translating this into calories: 27.5 teaspoons x 4 grams per teaspoon x 4 calories per gram = 440 calories per day per capita. On a 2000 calorie diet, that’s 22% of total energy intake, although it will be lower for people who take in more calories. The CDC has just released a summary of intake of added sugars among children and adolescents, in calories per day. At 4 calories a gram, 400 calories is 100 grams or 3.5 ounces. Can these calories contribute to weight gain or other health problems? And added sweeteners, experts increasingly argue, have more in common with these substances than with fruit. No authoritative scientific body that has conducted a major systematic review of the scientific literature has a found a public health need to set an Upper Level (UL) for total or added sugars intake. Every comprehensive review of the scientific literature concludes that, with the exception of dental caries, no causal link can be established between the intake of sugars and lifestyle diseases, including obesity. Mark Bittman’s excellent editorial, “Regulating our Sugar Habit,” (Feb 27) concludes that eating too much sugar has become “the biggest public health challenge facing the developed world.” Indeed, it poses a big health challenge for the entire world, especially developing countries. Governmental regulations to ensure the production and marketing of healthful food and beverages must be applied worldwide and protect the health of the world’s most vulnerable populations. Indeed, they must. The Sugar Association has much to answer for in its opposition to public health recommendations to eat less sugar. What about that pesky “natural” on food labels?